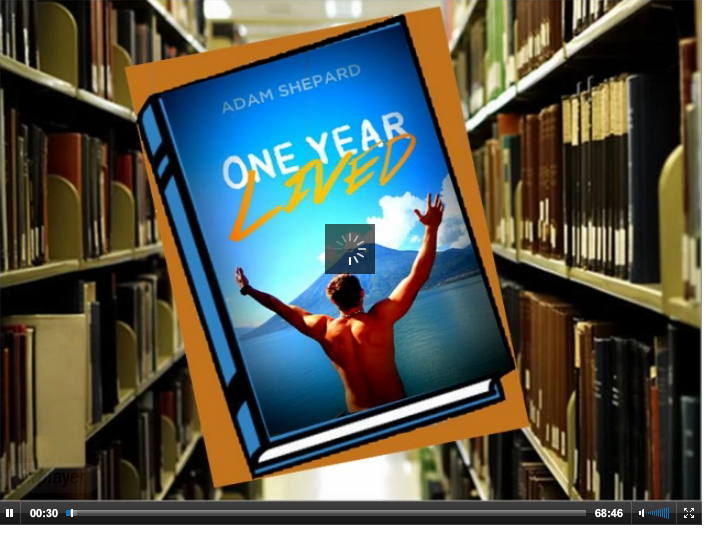 Adam Shepard, author of One Year Lived who travelled the world in 365 days, spending just US$19,420.68, shared about the mental preparation you need before a very long trip. What is my mental preparation for the trip and what are my plans for the future? These are two great questions. The biggest mental preparation for the trip – this is probably the most important advice that I’ve gotten in my life that I’m giving you now – is to just make the declaration, make the decision to do it. That’s the most important thing because there are many reasons to take this trip, and there are many reasons not to take this trip. If you keep looking for the reasons not do it – you’re spending money, because you’re putting your career on hold, because of all these other things – then you’re just never going to do it. The biggest mental preparation for me was making the declaration that I’m going to do it, and then buying that plane ticket. So many of my friends have the idea that they’re going to take this trip, and that one day they’re going to do it. Well, one day for me is now. I love my family, I love my friends, but it wasn’t hard for me to say goodbye to them because I knew in one year I would see them again. I knew that I was leaving. “I love you mom, love you dad, I’ll see you when I get back –” that wasn’t a problem for me because I knew that I was coming home eventually. I didn’t know I was coming home with a wife, but I knew that I was coming home eventually. If you make the declaration that, “Hey, this is going to be the greatest experience of my life,” if you know that, if you believe that, then you just have to say, “I’m going to do it.” You are giving up time with the family, time with friends, your career, going to school. You’re going to be spending money that you could be saving and spending on a house or a new car, or a new whatever, or your business. Whatever it is, you’re going to be giving things up. Decide that, “Hey, this is going to be the greatest year of my life,” or the greatest six months, or the greatest…” whatever it is. Then, “I’m going to come home, and I’m going to get serious again about my business, about going to school, about my career,” whatever it is. Use this as an opportunity to go out, have a great year, and then come home to a new life, and a reinvigorated life, and a new energy. That was the only mental preparation I needed. It was just saying, “Hey’, I’m going to do it.” Once you say you’re going to do it, just buy that plane ticket, go, and then let the trip kind of carry itself. That’s all I have to say. This is the greatest year of my life and I’m glad I took it. I knew what I was giving up. To me, it was worth giving all that up, to take the trip, and then come home, and get serious again about my future. To finish up, what am I going to do next? I’m working. I speak a lot around the country, around the United States, high schools, and colleges about this experience, about getting outside of your comfort zone, about taking risks, about challenging convention. So, I’m going to continue speaking. I’m very committed, so I’m going to continue talking about this book as much as possible in the future. I’m very committed to my wife. You develop these new adventures in your life, but I’m not looking for the next bull-fighting opportunity just yet. Right now, I just want to be the best husband that I can be. I want to find a nice house for us to live in, and we will go to the mountains on the weekend and to the beach, and we’ll do fun things in the future. So, right now the most important things to me are working on this book and getting this book out there and sharing this message, and being the best husband I could possibly be. Those are the next adventures in my life. More about Adam Shepard here.